Matt Nielsen owned and operated a larger disc jockey company. He employed 10 disc jockeys and an astute bookkeeper who was the wife of the most experienced DJ in the company. His team worked hard to deliver quality music custom-fit to each client. In fact, the company was so busy it could barely keep up with the demand. Matt owned one dozen setups and often scheduled eight to 10 gigs a night! Matt stored all of the equipment and backup CDs in a secured warehouse for easy access. Each DJ had a key and was able to pick up and return the equipment on his or her own schedule. The setups were valued at $20,000 each and Matt trusted his employees to check the systems in and out. One summer, the bookkeeper and her DJ husband (Martha and Bob) went on a three week European vacation. It was the busy season, so Matt hired an accounting firm to fill in while Martha was gone. The temporary accountant noticed something wasn’t quite right and requested permission to conduct a full audit. Matt agreed. The audit revealed that Martha had been embezzling money for the last five years. The amount stolen escalated from $5,000 the first year to $10,000, $15,000, $25,000, and $45,000 in subsequent years. She assumed an alias and had been writing checks to herself under the ruse of paying for services. Overall, she had stolen more than $100,000. The police were notified and the insurance carrier began to investigate. While reviewing Martha’s and Bob’s accounts, they noticed unexplained deposits. The investigator started interviewing clubs where Bob had worked on the company’s behalf and found witnesses who reported seeing him selling CDs and small equipment after shows. It appeared that Bob found a way to generate a little extra income by selling Matt’s equipment! Matt soon discovered that more than $75,000 of equipment and CDs were missing from the warehouse. Matt prosecuted the couple, but he collected nothing because their assets were minimal. Furthermore, without crime coverage he had no insurance to pay for the embezzlement or equipment losses. As Matt learned, crime protection is essential because it covers up to $50,000 per year of funds stolen by employees. It also covers equipment stolen by employees. It was a harsh reality to learn that if he had just spent $100 per setup – roughly $1,200 a year for the right insurance, he could have recovered $175,000! Matt learned firsthand that basic business owners insurance is not enough. He should have protected his interests with the DJ/KJ/VJ insurance program exclusively available through R.V. Nuccio and Associates. Need comprehensive coverage for your business? The DJ/KJ/VJ insurance program provides everything you need in one convenient place: Property/Equipment, General Liability and Employee Crime insurance. Underwritten by Fireman’s Fund, one of the largest, most respected carriers in the country, this tailored coverage package provides specialized “A” rated protection. Endorsed by the American Disc Jockey Association, R.V. 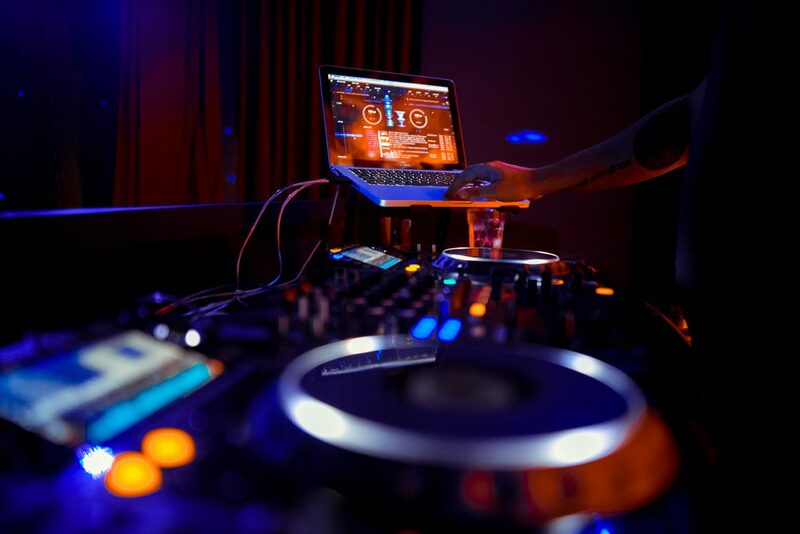 Nuccio and Associates is the only online nationwide insurance source for DJs, offering the most customized protection at the most competitive rates. If you’d like to learn more about the DJ/KJ/VJ insurance program, visit RVNuccio.com today … before an employee crime spree crushes your profit!